Kate Axelrod's atmospheric, intense book captures perfectly the heady feeling of being on the edge of adulthood, when the abstract concept of love starts to have real and sometimes terrifying meaning and consequences. Emily Gould, author of "Friendship"
In the span of just one winter break, Emma's relationships alter forever and she is forced to see the wisdom in a line from "Anna Karenina" The law of loving others could not be discovered by reason, because it is unreasonable. 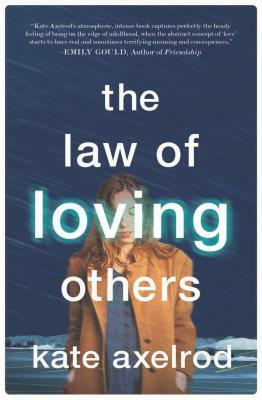 "A beautifully grounded coming-of-age novel, THE LAW OF LOVING OTHERS demands that the reader accept the main character, Emma, for who she is, while also creating deep sympathy for all that she is going through.